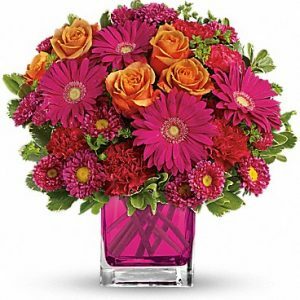 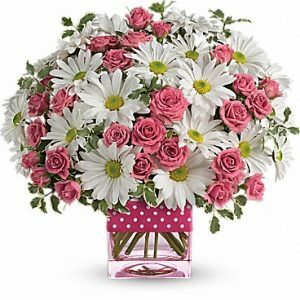 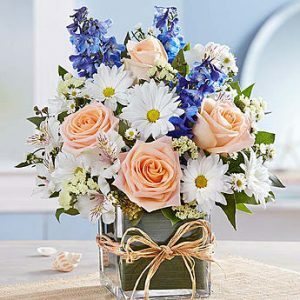 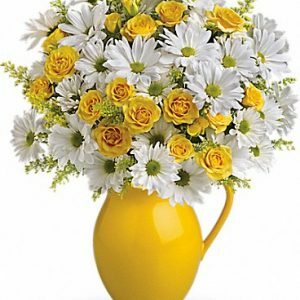 There’s something so charming about daisies…so we’ve designed them into our cheerful new arrangement! 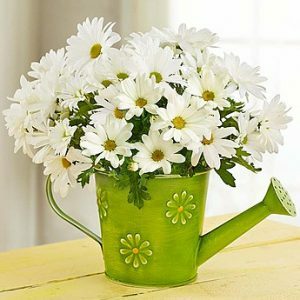 Both pretty and petite—and reusable as a container—our green watering can is decorated with these playful blooms and filled with a blooming plant, which adds to the beauty of this gift. 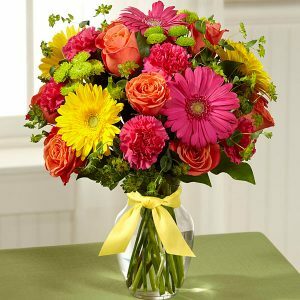 Whatever your reason for sending it, we promise you will brighten someone’s day!